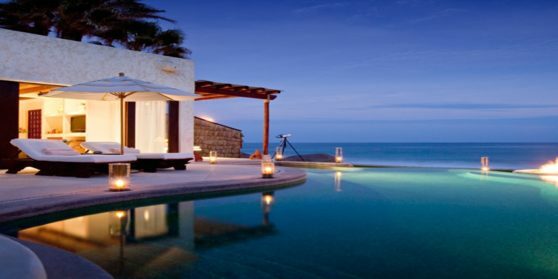 Las Ventanas al Paraíso, A Rosewood Resort’s constant innovation built the resort’s reputation as one of the world’s premier destinations. Since opening in 1997, this desert beach hideaway has captivated guests with expansive suites, inspired cuisine and The Spa at Las Ventanas, the resort’s sanctuary of renewal and revitalization. 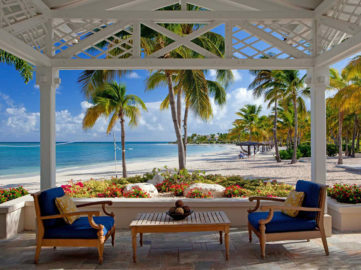 Throughout the resort, pampering and reaching out with special touches are the hallmark of refined hospitality. 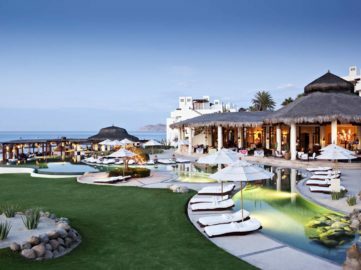 The exquisite design of Las Ventanas creates a uniquely beautiful setting for Los Cabos vacations, and the resort’s approach to landscaping is key to its look and feel. Designed to be in harmony and become one with the local ambience, Las Ventanas nestles into the natural slope and contours of the land and the external color scheme reflects the white of the sands and ocean surf. With respect for the desert-to-ocean terrain and ecology, Las Ventanas avoids non-native tropical foliage, incorporating indigenous plants whose natural requirements and characteristics are appropriate to the local climate. Such varietals include cactus, succulents and other desert plants; many are blooming varieties that splash the resort with many brilliant colors.